As a contributing member of the society, Samiksha Jain is passionate about her work and likes to offer, the therapeutic help and support that she received, due to which she leads a fulfilling and meaningful life. Ms. Samiksha Jain is a renowned Psychologist in Indira Nagar, Bangalore. She has had many happy patients in her 8 years of journey as a Psychologist. 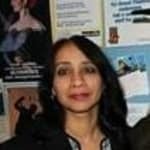 She is a qualified Hypnotherapist, DCS, BSIC, Advanced Trainee of Transactional Analysis, Advanced Skills in Counselling. She is currently associated with Specialists Clinic in Indira Nagar, Bangalore. She has received 29 excellent feedbacks. Don?t wait in a queue, book an instant appointment online with Ms. Samiksha Jain on Lybrate.com. Lybrate.com has a number of highly qualified Psychologists in India. You will find Psychologists with more than 27 years of experience on Lybrate.com. You can find Psychologists online in Bangalore and from across India. View the profile of medical specialists and their reviews from other patients to make an informed decision. I was able to overcome some of my problems with her help and support. She seems knowledgeable and experienced. I've had the most amazing experience with Dr Samiksha Jain. I would highly recommend her to all my friends. The response was so instant and really appreciate the kind of responsibility to guide the patients.. I feel I am getting better with counselling and should be able to manage on my own soon. I have taken 10 sessions and I am feeling more confident and ina better place. Great help speaking to her! Therapeutic to talk to. Hi im 23years old male. Mera last 5-6 months se mera mind past ki baaton me chalta rehta hai round the clock. Actually last year mera meri girlfriend se breakup ho gaya tha, jiske sath mera 6mnths ka relation tha. Or jiske liye mai khud ko responsible maanta hun. I think mere ego or attitude ki vajah se breakup ho gaya tha or voh bhi kabhi-2 kehti thi ki mai uski baaton ko for granted leta hu. Mai roz guilt mein survive kar raha hu or apne aap ko jimmendar manta hu. Uski baatein roz mere mind mein 24hrs ghumti rehti hai or uske saath spend kia hua time bhi. Mai bhi usko pyar karta tha Or mai janta hun voh meri life mein ab kbhi vapas nhi aayegi and I really miss her. Mera daily suicide karne ka mann karta hai. Aisa lagta hai jaise meri life ek curse hai. Or ha mujhe OCD bhi hai, but mujhe nahi lagta sab iski vajah se hai. I really don't knw what to do. Meri mind ki koi concentration nahi hai. Mai daily stress mein rehta hu. If you can help me toh plss help me ki wht I have to do really ki mai apni life phirr se khushi se jee saku. Aur apna mind iss cheez se divert karke apni professional life mein kuch kar saku. You seem to have realised that you have made some mistakes in the past but being harsh and judgemental of yourself is only going to harm you rather than help you in any way. Be gentle with yourself and tell yourself that whatever you did and said was unintentional and you never meant her any harm. You did what you have seen others doing. But now you know better than before and are willing to behave more amiably and respectful of the other person. Thus freeing yourself from that guilt, and looking forward to life and meeting more girls to be friends with and learn about them and yourself will be your learning curve. However you need to treat ocd with medication and counselling to keep it under check. Take care. I am 29years old female. I am losing myself gradually. If someone talks to me in good manner I feel he/she is doing this for some reason. He/she may want to use me. I can not find any positive vibe from anything. Sometimes I feel totally blank, have no idea what I am doing. Sometimes I can not recognize the person or place. Is it any kind of mental disorder? With this much information it is hard to diagnose a mental disorder. You do seem to have undergone a stressful period and lost trust on people. The symptoms that you mentioned could be due to some alternations and misunderstanding that you would have gone through. Inability to relate to your present situation could be a defense to protect yourself from apparent harm which may or may not exist. However you could be dysfunctional in this situation and unable to carry out your daily routine and achieve anything that you want to. I suggest that you see a counsellor and discuss at length about your experiences of the past and look at workable solutions. Hello, I am most of the time in some other world. It's not hallucinations but I keep imagining things like-I am talking to people and they watching me where ever I go. For eg. If I go to a mall, when I walk there I think My self as a doctor and the ppl around me as my patients. M just a first years medico. I don't know what's wrong with me. Please help me. Whats this? Dear lybrate user, it is very difficult to assess or diagnose with just this much information. I suggest that you see a psychiatrist or homeopathy doctor to further assess your overall condition and give you medications accordingly. 1. Besides this, please start regular exercise so that you become mentally and physically healthier. 2. You can make healthier food choices by having more fruits and vegetables, fish, eggs, proteins for optimal performance of the body and mind. Reduce junk, fried, sugary, processed and refined foods because they are linked to quick aging of the body and mind due to chemical, free radicals etc. 3. Meeting up regularly with friends, having fun and light hearted conversation help both mind and body to relax which is important for all of us. Go for long walks, picnic, outdoor activities to relax and enjoy. 4. Have a hobby of your own where you can feel creative and satisfied by the outcomes. This is very essential for anyone who feels that their life is boring and unproductive. 5. Sleeping for 6-7hours every night will repair and heal any tiredness and cellular damage to the brain. You will feel refreshed and hopeful at the beginning of each day. Going out in the sun is good for optimal brain function. I don't know how to describe my problem. My problem is neatness. Every minute and every second it will be in mind. I keep wash my hands when ever I touch anything. And I have two kids I don't allow them to play outside because they will get dirty. And if I see them dirty I will get very anger I will loose my control. What is my problem and what to do. Please suggest me. I suggest that you see a psychiatrist for your wish for neatness at all times. It seems to be going towards an extreme and wouldn't serve you any purpose, instead render you quite dysfunctional. Stopping your kids from going out will prove counterproductive because children need to run, play, exercise in the open for good physical, mental and emotional development. Dirty clothes are part of growing up. Sometimes it's fun to be dirty and still enjoy with friends. They learn social skills through play. Cooperation, tolerance, team building, competitions, winning, losing, resilience etc. By keeping them in the house, they will feel bored and lose out a lot. I'm repeatedly failing in a entrance exam. My performance is not bad, but I'm not getting the best result as number of seats very less. I'm studying day and night since 3 years. My career is in doubt now. Little bit depressed and still want to get success in that xam. I'm still trying and still reading. But somewhere a frustration attacking me. Please help. It must be frustrating and demotivating for you to repeatedly" not clear" the exam. Please notice that I said" not clear" instead of failing, because you seem to be associating this failure with your personal failure, which is actually not true. You are much more and beyond the passing and failing in an exam. Humans have unlimited potential out of which we use only 5-7%. Rest is untapped. Clearing your exam is not the only way to achieve your success and happiness. Try to create more situations where you get to learn more and utilise your learning. It is common knowledge that, public exams like banking and ias have few seats available but applicants are in lakhs. Usually such students, create a plan b and plan c, where in they have already thought of another job or course to take up so that their learning and earning doesn't stop. Your knowledge and learning will not go waste. Find out where else it can be applied eg. Ias students learn more about current affairs, general knowledge and govt policies for establishments and organisations. Even if they don't get a govt job, they can apply in private sector or start their own business. Set up a time frame within which you try a set number of times. If you don't get through. Leave it and move on. Life doesn't stop for anyone. People who are flexible and adaptable are successful, people who don't adapt get left out. I'm sure that you would have heard of" survival of the fittest" theory by charles darwin. You must understand what are your strengths and in which fields you would do your best. Think of those moments when you were doing your best and felt the happiest and lively. Many researchers have proved that if you find out what is your" calling" then you will do your best, feel content and satisfied and experience good physical, mental and emotional wellbeing. I suggest that you take out time to understand what you excel at. Maybe not getting through this exam is a boon in disguise. How can I get rid of Guilty feelings and stay Happy? Some things come up my mind everyday and I become sad due to guilt I just want to get rid of them? While guilt has a function of guiding a person to act within acceptable limits of social conduct, excessive guilt can be very harmful and corrode a persons self confidence and self esteem. Since you did not mention any particular incident, I will just enumerate some tips for your consideration: 1. Guilt occurs when you have done something unfair and objectionable to another person. That time your conscience and morals will make you feel guilty. Now, here you need to see if you are doing the same action repeatedly and not learning from your mistakes. Its a good time to take stock and learn from your mistakes and not repeat hurtful behaviors. 2. Is the other person being too demanding of you and you can not do what they want you to do? well, its time to stand up for what you can or want to do, because you too have a choice, limitations etc. So actually theres no need to feel guilty here. 3. Do you take on too many responsibilities and end up not acting on them. Its time to prioritize what you want to do and what you must do. More planning and organizing means lesser guilt. 4. Are you someone who procrastinates often and then feel guilty of not doing it on time? maybe its time to work through your laziness and look at reasons why you procrastinate and become proactive. Feeling guilty about it will take you nowhere. If this is not what you are looking for, then please send details in private chat and I will help you to increase happiness and reduce guilt factor. We have all heard the sayings "It's human to make mistakes". We make mistakes every day, large and small, failures. But failure and mistakes still don't feel like a way to learn and grow. I know that I should accept my faults and shortcomings. But it is a challenge for me and a challenge for many of us. We live and act in ways to prevent mistakes -- not taking risks, expanding our comfort zones or jumping outside the boxes we hide in and hide in another box. But our mistakes and failures are gifts, gems, guideposts in our learning and growth as people. So embrace failures, mistakes, stupidity and shortcomings because they not only make us uniquely who we are, but also teach us powerful lessons like the nine below. 1. Mistakes teach us to clarify what we really want and how we want to live. The word mistake derives meaning only by comparison to what we desire, what we see as success. Noticing and admitting our mistakes helps us to realise our commitments--what we really want to be, do, and have. Mistakes wake us up and focus our attention like a flashing sign that says "fix this". The urgency created causes us to focus on issues or problems that make us feel off track. Working on possible solutions, redefining what we want or expect, or reexamining our values or goals can lead us to more clarity about our path. 2. Mistakes teach us to accept ourselves and that we can be flawed and be loved. We can fully appreciate ourselves, even while acknowledging our screw ups. It is possible to laugh at our mistakes and then work hard to correct them. Most of us have a long history of putting ourselves down when we make a mistake But it's a self-defeating habit we must break so that we can start appreciating ourselves, mistakes and all. People who love and care about us will stick with us through all our flaws and floundering. And those who can't appreciate our humanness can and will leave, which is best for our self esteem. Our not so perfectness is what makes us unique and we are loved for it. So we should give ourselves a break and love our imperfections also. 3. Mistakes teach us to accept our fallibility and face our fear. Sometimes even our best efforts just don't work out. We might do everything possible to achieve a certain result and still fail, again and again. When this happens we can admit that we're stuck. Facing mistakes often takes us straight to the heart of our fears. And when we experience and face those fears, they can disappear. When we are stuck and admit that we can't do it alone it sends a signal and opens the door for help to show up. People, resources, and solutions will appear, especially when we ask for help. 4. Mistakes teach us about ourselves and how to tell our truth. It is natural to want to cover up our mistakes or be embarrassed by them. To feel like we wish we had a handy mistake eraser or remover. But being honest about our failures and limitations offer us opportunities to practice telling the truth. Admitting the truth allows us to expand our knowledge of self-to know who we are. And thus, increases our capacity to change and let go of what is beyond our control. It is like holding up a mirror to ourselves and really seeing. When we tell others about our mistakes, to let them really see us, it allows us to let go of the embarrassment, shame and blame we may feel so that we can concentrate on learning and growing. 5. Mistakes teach us, through analysis and feedback, about what works, and what doesn't. It's a reality check. When we experience the consequences of mistakes, we get a clear message about which of our efforts are working--and which are not. The feedback we get from our mistakes can be the most specific, pointed, and powerful feedback we'll ever get. Many times we can trace mistakes to recurring patterns of belief or behavior--things we do, say, and think over and over again. When we spot and change a habit we may find that other areas of our lives change for the better. One way to gain maximum benefit from mistakes is to examine them through the filter of powerful questions: "How can I use this experience? "; "What will I do differently next time? "; "How will I be different in the future?" Questions like these lead to an inquiry that invites solutions. 6. Mistakes teach us to take responsibility. Sometimes our instinctive reaction to a mistake is to shift blame elsewhere: "It's not my fault." "You never told me about that," Or the classic "I don't see how this has anything to do with me." It is more responsible and empowering to look for our role in the mistake. Taking responsibility for a failure may not be fun. But the act of doing so points out what we can do differently next time. Investigating our role reminds us that our choices and our actions have a huge influence on the quality of our lives. 7. Mistakes teach us about integrity. Mistakes often happen when we break promises, over-commit, agree to avoid conflict or fail to listen fully. Big mistakes often start as small errors. Over time, tiny choices that run counter to our values or goals can accumulate into breakdowns. Even our smallest choices have power, so it is important we pay attention to the integrity of the choices we make every day. Mistakes can be a signal that our words and our actions are out of alignment. In that case, we can re-examine our intentions, reconsider our commitments, and adjust our actions. 8. Mistakes teach us to engage in our lives -- to live fully. We are not our behaviors and we are more than our mistakes. We can remember that our history does not have to predict our future. And then remember that we have an opportunity to go all in--to participate fully. Many people, when faced with a big mistake, begin to withdraw. Instead, we can use the failure as evidence that we are growing, risking, and stretching to meet our potential. Mistakes help us to remember that we are not content to play it safe. That we understand that without risk there is sometimes no reward. 9. Mistakes allow us to inspire others. They may be inspired when we are courageous and make our private struggles public. They might decide to live differently. When a lifelong smoker who's dying of emphysema talks about the value of being smoke-free, we're apt to listen. The same kind of contribution also occurs when we speak candidly about less serious mistakes. As parents we can teach our children that it is OK to fail because we are willing to let them see our failures and mistakes. This gives us opportunities to talk through what we could or would have done differently. These are powerful lessons for those around us. Hi, I am 16 years old studying in 11th grade. I am preparing for board exams and also attending FIITJEE coaching due to which I undergo a lot of depression and stress through out the year. I am not able to mange both together and not able to concentrate on either of them. How can I control depression and stress, as well as manage the time to concentrate on both these things and excel? Plse advice me! I understand that you must be going through a lot of stress and anxiety about preparations and results of the exams. 1. Sometimes what helps is doing school from a state board or privately and doing coaching side by side. 2. Prioritising your studies based on your interests and strong subjects. You decide which chapters you want to be thorough with, and which you want to skim over. 3. Studying smart is important. So make points, and use all your senses like audio, visual and kinesthetic to help you absorb and retain longer. 4. Since you mention depression and stress, I suggest that you sleep for 6-7 hours to refresh mind and body. Eat only healthy and well balanced meals. Avoid junk completely as it is linked to anxiety and depression. Drink at least 2 lts of water but no smoking and alcohol as it is dehydrating and puts body under stress. 5. You need to distress and relax by having a hobby, meeting friends casually and playing some sports or walking, or gym. Exercises help release natural neurotransmitters in the brain which help you relax and feel confident. I have a headache and my board exams are starting in 2-3 days and I am tensed about it. Please have a pain killer for your headache. Any allopathy medicine meant for stress busting will have side effects so I don't recommend that to you. Instead some life skills which will take away the stress during exam time will always stay with you to protect you from stress. Time Management Guidelines 1. Plan your time wisely. Those who fail to plan are planning to fail! 2. Establish goals: a. Know where you are going and what you want to accomplishb. Be motivated to accomplish your goalsc. Invest your time in a much more meaningful way 3. Update your goals continuously. 4. Prioritize your goals, using a 1-2-3 ranking. 1=extremely important; 2=somewhat important; 3=little importance. 5. Identify those activities you must accomplish to reach your goals. 6. Identify obstacles that will prohibit you from accomplishing your goals. 7. Schedule your activities, allowing time for: (1) essential activities, (2) routine tasks, (3) previous commitments, and (4) interruptions and crisis situations. 8. Allow yourself “planning time.” Schedule activities for the next day in the evening. 9. Allocate at least one hour a day for uncommitted time to take advantage of targets of opportunity or unanticipated demands on your time. 10. Eliminate “must” activities quickly to allow more time for more demanding activities. Eliminating “musts” will reduce tension and anxiety caused by interruptions and distractions. 11. Prepare a “daily activity list” in priority ranking 12. Learn to say “No!” 13. Establish a routine of when and where people can reach you. When people know times you are available, they will contact your during that time and not interrupt or distract you throughout the day 14. Learn to delegate! Any activity which someone else can do for you eg. Drive you to a tuition class. Give the job to them so that you get more time to prepare/ relax/ sleep etc. 15. Ask this question at all times: “What is the best use of my time at this moment in light of my goals? Besides the above: 1. Eat only healthy food and avoid processed, refined and junk food because it will tire you and your brain out faster than anything else. Junk food is linked to anxiety and depression also. 2. Keep drinking water to hydrate yourself. Thus will help you to concentrate and retain more than anything else. Avoid excess caffeine and alcohol as it slows down brain capacity to retain and reproduce. 3. Get your beauty sleep even during exams. Though this is a time eater but if you get your sleep then your capacity to study will increase drastically the next day to retain and reproduce. There are natural sleep inducers and stress busters in ayurveda which are safe to have. I would recommend those over allopathy. 4. Exercise everyday to increase blood and oxygen flow to the brain and body. Your mind will be sharp and alert all day and not get stressed out easily. After lost my girlfriend I feel working, valueless and aimless lifestyle since 5 years. I can not feel better or normal. Please suggest me some solution about it. Thanks. Hello, I can understand your pain at losing one very important person in life. You probably had hopes of spending long time with her and had plans for the future and now nothing is going to happen. All these thoughts might be causing you sadness, disappointment and some anxiety and anger on the other hand. While it's important to be an important part of someone else's life, yet it's also important to know when to call it off if it's not working anymore. 1. At the age when you broke up it is common for boys and girls to get attracted to each other and spent some time together. But equally common is breakups when one or both see that their needs are too different now and the other person will not fit the requirements any more. While this process is very heart breaking, but it is also important so that you can meet different people and see who is your kind of person and who will help you in the next phase of life ie. Job, marriage children. 2. By going through different relationships you will also understand yourself better and what do you want from a potential partner and discover many hidden qualities and weaknesses in yourself. It's your growing edge to work through your weaknesses and sharpen your qualities. You will also discover your passion, dreams and hobbies and interests. 3. I suggest that you look at this breakup as a learning lesson and an opportunity to improve on any thing that was your mistake and assess your life choices again. What was meant to go will go. Let it go and you carry on with your journey. You are 29 years old and some years later you might start feeling too old to get married and setle. You might feel more lonely than you are feeling already. This leaves a bitter memory of the past and chances are that you will regret staying single for so long. 4. Being flexible and independant in relationships is important. There will be times when you might not have any body's support or company. That is the time to learn to be your own friend and give yourself that love, importance and value which you want from a close friend. This is healthy self love and very important for self confidence and high self esteem. Whether you are in love or not, valuing yourself at all points is a very important aspect of high self esteem and self confidence. 5. Indulge yourself with meeting new people, going places, discovering your passion, hobbies etc. Spend time alone with yourself to nurture the person within you. If you can not do these on your own, then please see a counsellor and take their help to help you get direction back in life.